We live in a bubble. A beautiful, peaceful, fun little bubble. Bill will often say that he is not hiring for a job, but for a lifestyle. And embrace that lifestyle we do. Sometimes it is hard to remember on our town trips to see the outside world, that we look a little, what’s the word? Rough. Yep. Fingernails filled with dirt, can’t-remember-the- last- time-I-showered, rough. Don’t get me wrong, we can clean up nice, but our office ain’t sporting slacks. At camp we may wake up with a to-do list of 5 things, and then end up doing 7 completely different things; including fixing a water leak for the 5th time in a month. Mud and muck are part of the job description. That’s why our dress code at camp is campT-shirts and jeans. Best to have on a pair of boots as well, certainly closed toes shoes for trail riding. Maybe a pair of chacos at the Slip and Slide. Heck, why not go barefoot? The kids of our staff certainly have. We have learned to embrace the camp-ness of dress code; will you? Our jeans are dirty, sometimes even doubling as napkins, but they have definitely been worn a couple times this week. Have our summer staff already achieved a tan? Maybe. But perhaps it’s just sunscreen caked with dirt. Have our kitchen staff had mashed potatoes flung from the mixer into their hair? It’s possible. Are they sticky from the mixture of key lime pie slinging across the room? I certainly was once! It’s a messy job, but someone has to do it. Some of our staff smell like freshly cut grass, and some smell like horse manure. And we wouldn’t have it any other way. There are many words to describe our camp staff, but “fancy” is not one. 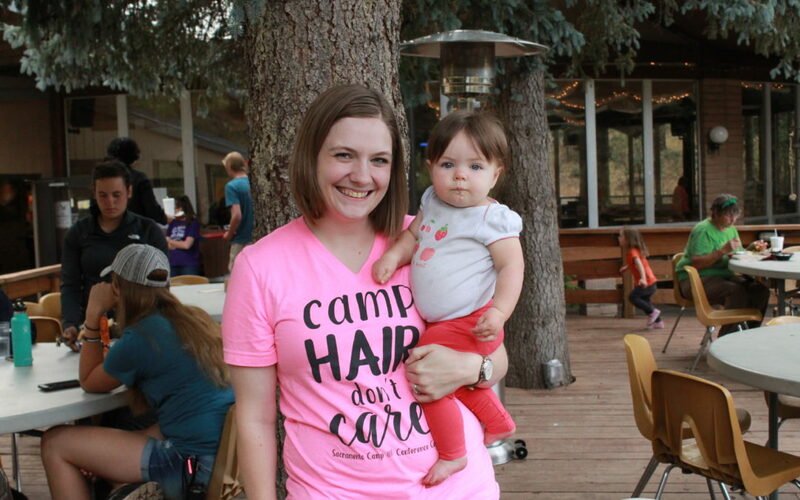 So come on up to the mountain and show us your camp hair. We don’t care!